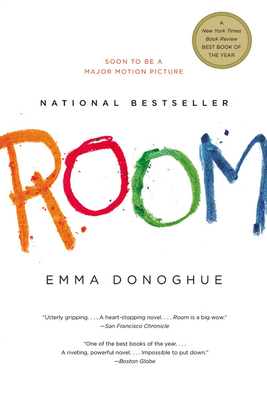 Book Passage contributing blogger Zack Ruskin interviewed Emma Donoghue, author of Room ($14.99). Donoghue will be joining us for a Literary Luncheon at our Corte Madera store on Thursday, June 2 at 12:00 noon. For tickets, call (415) 927-0960, ext. 1. ED: No name sounded right for me, even when I drew up a long list. Then I realized Jack was vetoing them. He refuses to tell the reader Ma's 'other name' because he doesn't want her to be called anything but Ma. That was the challenge of Room, for me: to make Ma vivid and real despite Jack's very narrow lens on her. ED: I figured Old Nick would have designed it for 'one sedentary user', as he puts it sanctimoniously. I 'shopped' on ikea.com, picking roughly the second-from-cheapest of everything, and used another home design website to move all the pieces around.